One of Husky's superpowers is compiling reports for your colleagues, your management or external stakeholders. 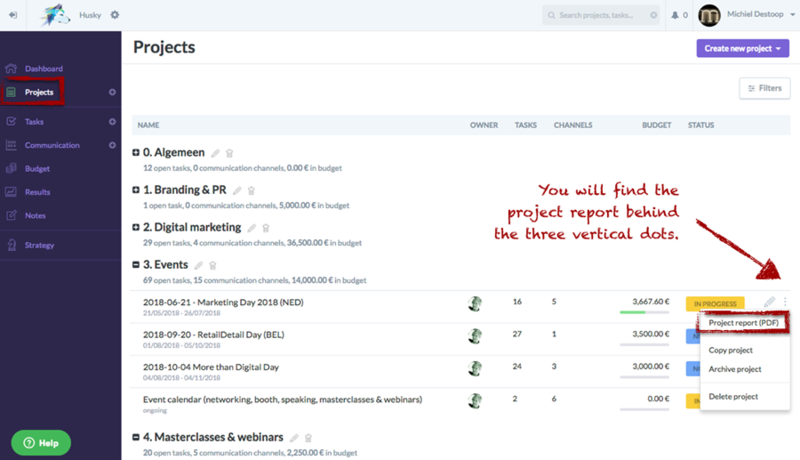 They often demand that marketers present better and more frequent reports about current projects. If you want to live up to their expectations as a marketer, you will probably spend a lot of your time compiling specific reports. 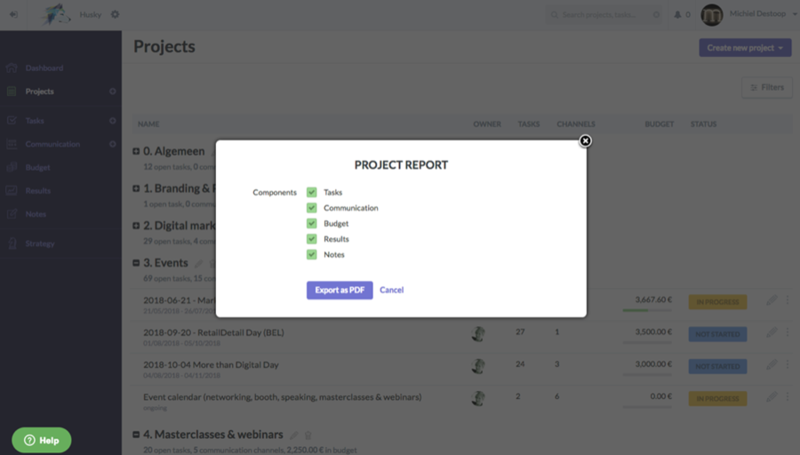 With Husky you can export a project report to PDF at the click of a single mouse button. You can then email this to whoever needs the project information or a project report. 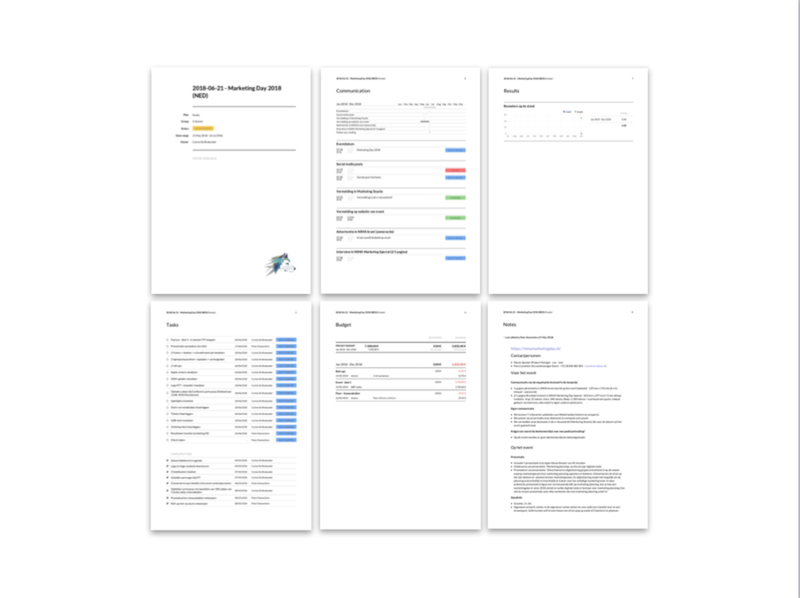 A project report contains an overview of all outstanding and completed tasks, the annual planning with regard to communication, the budget status, the final and interim results and all the notes related to the project (in a single PDF). You can either export all data or make a selection.